7-11 FREE Birthday Slurpee NOT FREE and Limited? Stupidly, my wife decided she didn’t care and wanted one because of all the ads and ended up going in an buying one. I refused to pay for one…I HATE being told one thing and then seeing something else. 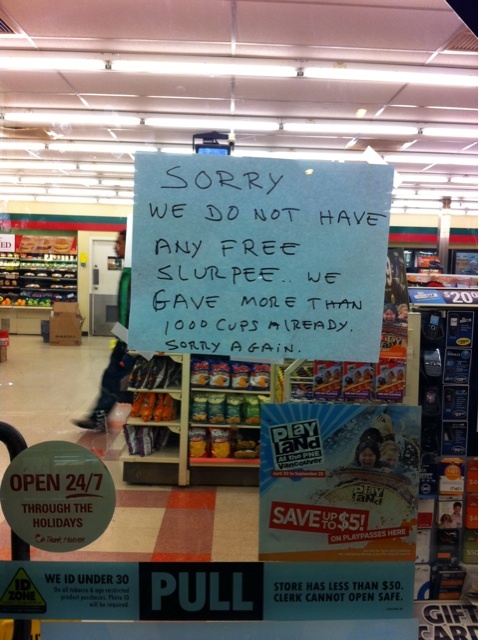 Being misled is not cool 7-11. You may have just lost a customer….